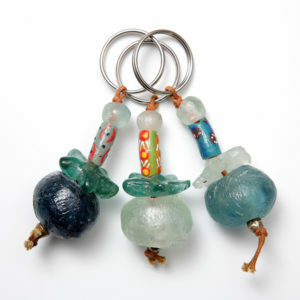 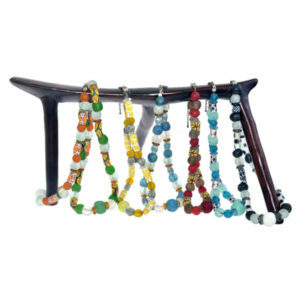 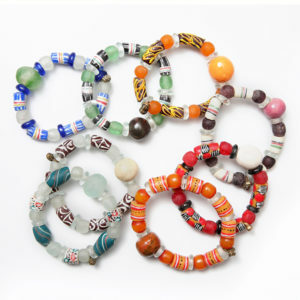 The bracelets are made from various trade beads which are handmade throughout Africa. 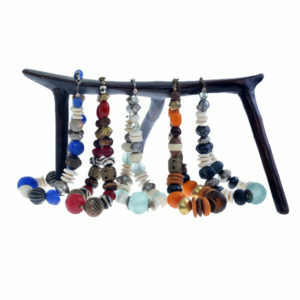 Components: Various handmade African beads, double elastic cord. 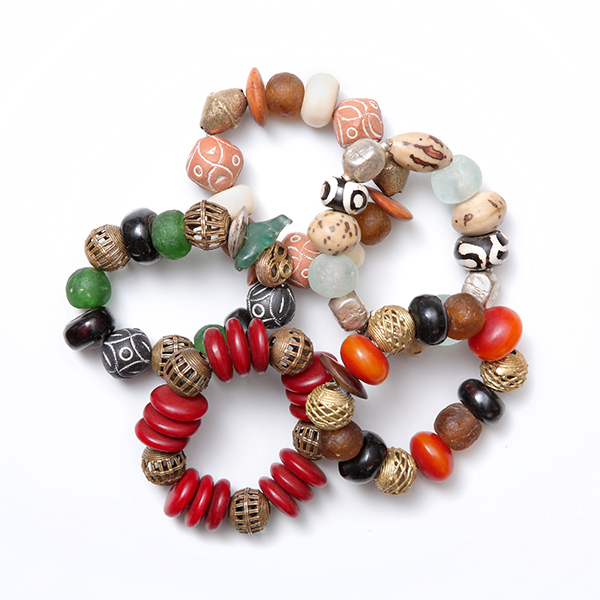 Production & Order Timing: Small trade bead bracelets: orders up to 500 units, 2 weeks, 1000 units 4 weeks, 2500 units 10 weeks Chunky bracelets, small and large trade bead necklaces: orders up to 250 units, 2 weeks, 500 units, 4 weeks, 1500 units, 10 weeks.